Throughout Jesus’ earthly ministry, He celebrated and treasured the hearts of young children and taught the significance of childlike faith. Trinity’s preschool honors this value in offering a developmentally appropriate program that nurtures the whole child. Spiritual, social, emotional, physical and cognitive aspects are cultivated as we apply an integrated curriculum based on best practice models. Recognizing that preschool classes are heterogeneous, our highly qualified and loving teachers focus on creating a positive environment where every child can flourish. Much emphasis is placed on character development and social skills as the children learn through stories, songs and activities. It is an honor for us to teach daily Bible lessons as we guide the preschoolers through Biblical Foundations for Early Childhood Education by the University of Nations. Children attend regular chapel times with our Kindergarteners and our music teacher. At this pre-grammar stage, academic goals are achieved through exposure and practice of basic skills. Our language arts phonics program is based on The Writing Road to Reading. Activity centered math instruction is accomplished through both Saxon Math and Mathematics Their Way programs. Science thematic units are explored using the Berkeley GEMS curriculum. Our Pre-Kindergarten (3 years old by June 30) and Junior Kindergarten (4 years old by June 30) classes are below state-mandated teacher/student ratios. 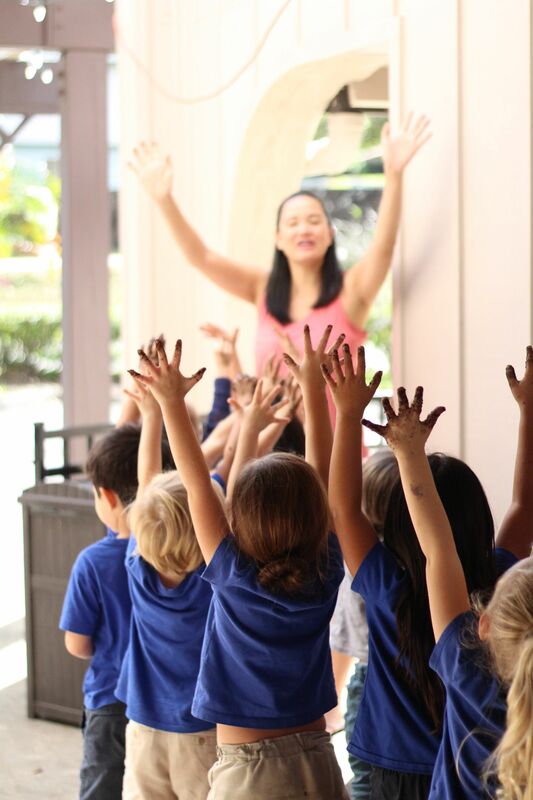 In addition to their lead teacher, students attend specialist classes in music, physical education, swimming, Hawaiian language, and multisensory activities. 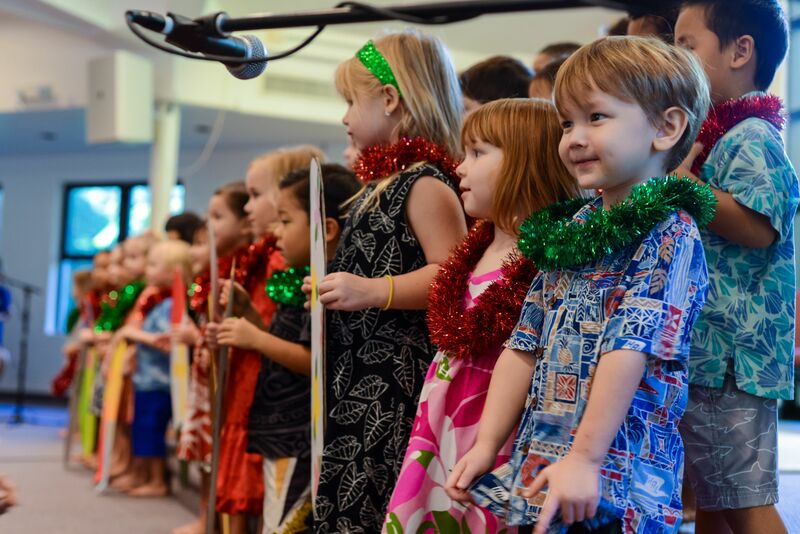 Excursions and special events such as our Christmas Program, Spring Event and May Day Celebration complement our program and provide opportunities for parents to be involved. 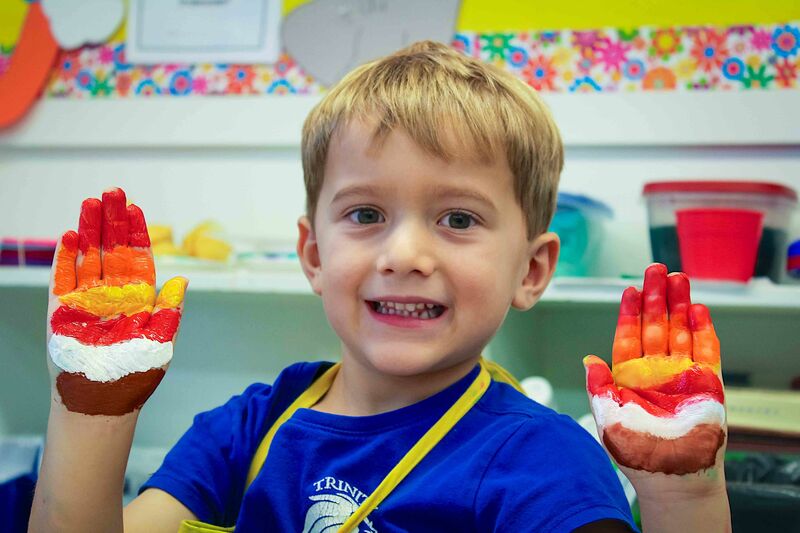 As one of our main goals is to prepare your preschooler for our kindergarten program, daily lessons provide equal time for both gross and fine motor development. Equipping our students with proper tools is accomplished through well planned, skill building activities that lay the foundation for later success. Our hope and prayer is that our students grow in confidence, become eager learners and are excited about God’s love.